Save our personal guide and make your next trip a smoother one! Naturally what will affect the cost of flights to Italy the most will be when you choose to fly. As you may imagine, the summer holidays are the priciest time to travel. July and August still remains the proverbial “hot” time for families to holiday so its best avoided, especially around the popular coastal towns. Christmas and New Year’s Eve are another “high season” flying price list. 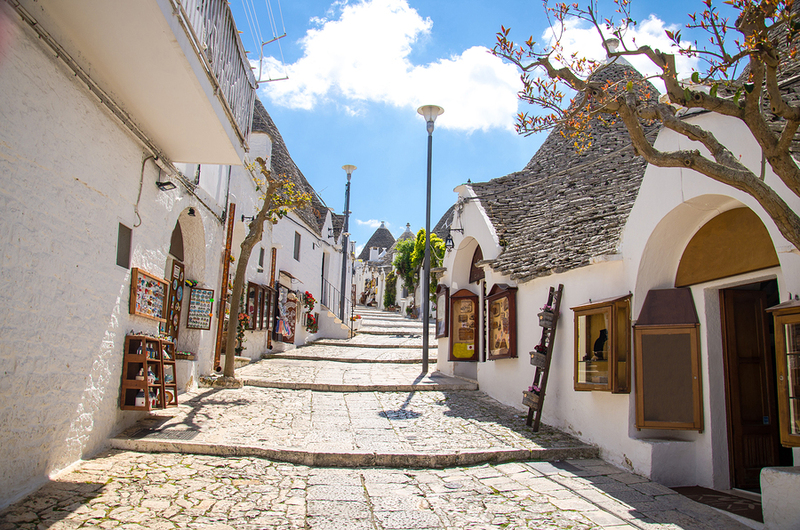 Off season (late winter and early Spring and Fall from November) are great times to visit Italy but don’t be fooled, Rome, Venice and Florence rarely empty of visitors, however it remains our personal favorite time to be in Italy. You can use websites like Kayak or Skyscanner to browse your options, even nitch sites like Scott’s Cheap Flights can send you alerts should a really good deal come in for an international destination from your favorite airports. We also recommend downloading an app called Hopper that tracks the future of airfare and hotel prices and seeks out the best deals at any given moment. Regarding what days to book, I’ve often heard rumors that Tuesdays are a great day to book. We tend to ignore the “this is the best day” theory and instead make sure to book at least three months in advance and most importantly never in a rush. It also pays to clear your browser of cookies so that airline websites can’t track and save that you are looking for a particular flight. According to CheapAir.com’s 2018 Airfare study that looked at 917 million different flights listed on its site determined that for Europe it is best to book between 1.5 month and 8 months from your travel date (160 days before is the sweet spot) with July being the most expensive month to book and Monday, Tuesday and Wednesday being the best (affordable) day to fly. Booking for the month of March will get you an average savings of $371 dollars per ticket and for those who must travel in the summer, aim for early June which is far more affordable than pricey July. 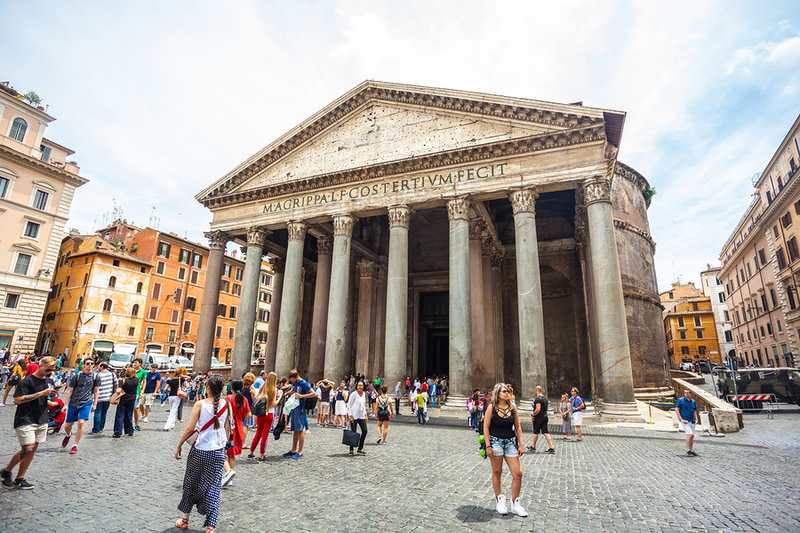 Italy is home to more than 120 airports with Milan’s Malpensa and Rome’s Leonardo da Vinci-Fiumicino Airports as the busiest International gateways across the country, other airports instead serve as hubs for each respective region. One great trick when it comes to booking an affordable flight is to be flexible when considering which airport to arrive and leave from. 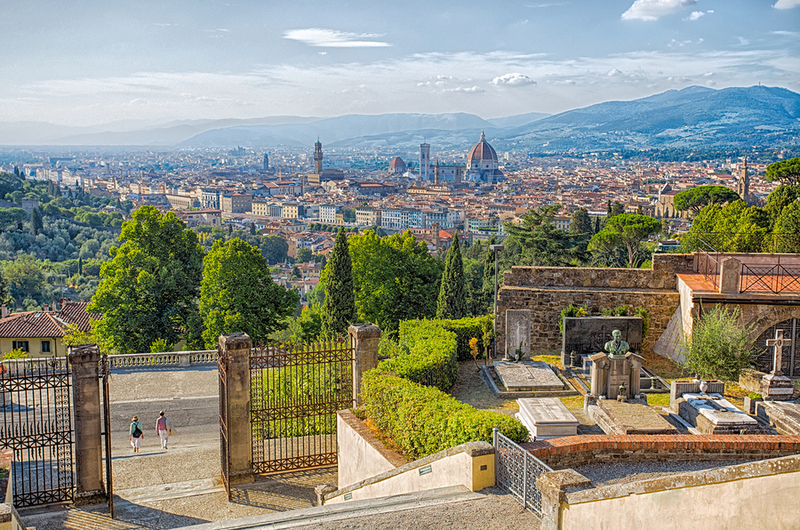 It might be tempting to want to arrive directly in Florence’s Peretola for example if you plan on discovering the Renaissance city, but considering the runway is short and planes are often delayed due to fog or wind. It actually might make more sense to arrive in the city of Pisa or even Bologna. Both generally can guarantee more flights and are busier hubs than Florence in case of eventual delays. 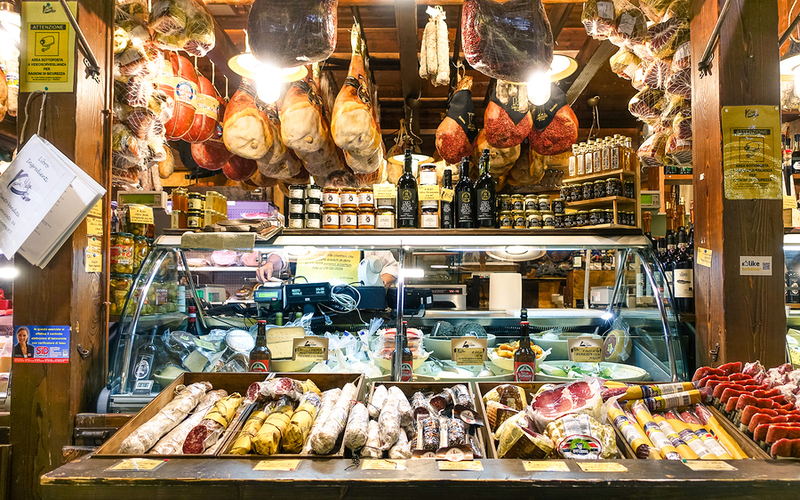 You often will find better deals from Rome or Milan, both of which are very well connected to Florence by train and often offer better deals. 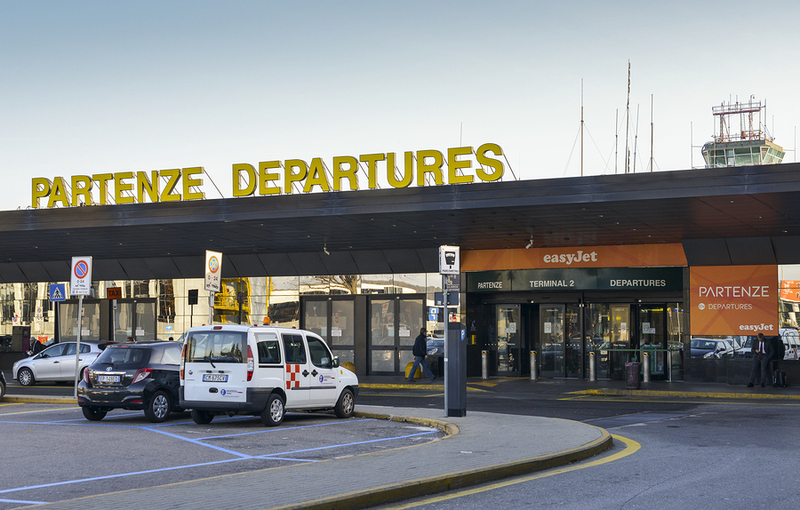 If you plan on traveling across Italy, don’t be stuck on arriving and leaving from the same airport. Making it back to your original destination might prove more of a hassle (and pricier) than just booking your departure closer to your last destination. It’s happened to us all, you are all packed up and ready to go, only to arrive at the airport and discover there is a long delay or even worse, that your flight is cancelled and finding information on how to rebook or change flights is frustrating at best. Often in these cases you are also entitled to financial compensation as long as it doesn’t fall under the window of extraordinary circumstances (weather, staff strikes) even if your plane is delayed for more than three hours. Under the Montreal Convention, this law covers international carriages between the 120 countries who ratified the accord, allowing air passengers on international flight to claim compensation for the damages caused by their travel disruption and luggage problems (flight delays, cancellations or denied boarding). As clearly laid out in regulation EU 261, there are strict rules in place and you are entitled to reimbursement of the full cost of your ticket for the part of your journey not made or re-routing at the earliest opportunity. These fines can range from 250 to 600 euros ($261 to $626) per passenger. If you are already at the airport and you opt for re-routing, you are also entitled to meals in proportion to your waiting time and overnight accommodation if you are to be re-routed the day after your planned flight. Ironically, a lot of people don’t know they have the rights mentioned above. In fact, from a personal perspective my husband, his family and I were stranded after a low-cost airline (Ryanair) cancelled our flight from Bologna to Puglia and then, after our train ride to Puglia, cancelled our return leg too. Obviously, you can imagine the frustration involved yet we looked into our rights and made sure to make a compelling claim to get the compensation we deserved for such an avoidable last minute disaster. One recommendation is to use a service like AirHelp, which uses a custom database of global flight disruptions to validate claims and then generates and submits claims electronically to make flight compensation as smooth a process as possible. It’s easier than doing it yourself because unfortunately Airlines are often not very cooperative when it comes to taking your claims seriously and I’ve had many friends who have been very pleased with the outcome by using Airhelp. The wonderful thing about living in Europe is the access to cheap flights across the continent when deregulation occurred during the 90’s. With low cost carriers, such as Ryanair, EasyJet and Vueling, you can purchase tickets as cheap as 20€ but hidden fees always hide within. The volatile air market has meant that often rules change and things has previously been included (an extra purse, bag) may change at any given notice. Be aware that allowing for a financial wiggle room is a must when you are considering that hot deal However, with extra taxes and baggage charges, tickets still often work out to be much more affordable than the bigger airlines with prices rarely topping 200€. Do however keep in mind that often tickets are nonrefundable and can be difficult to change with rules such as check in time and baggage weight strictly enforced. Also, sometimes the airports of arrival can be quite further than you might expect causing you to spend more time and money using public transportation to arrive at your desired destination. My opinion is that using these airlines are most convenient when you just have to reach one destination, I personally wouldn’t recommend combining a low-cost airline connection with a traditional carrier as often you arrive at different airports/terminals and the stress might outweigh the convenience of saving some bucks, though of course I know plenty of people who have done it. For your major carriers, British airways and Lufthansa for example, expect that prices are standardly higher but often are a bit more comfortable. They tend to offer better flight times and are easier to deal with should a problem arise. While a Ryanair might be less apt to help when a flight has abruptly been cancelled (as proved for me personally on a trip to Puglia in 2017), bigger airlines typically take the situation more seriously at the moment an inconvenience occurs. If you fly frequently, it definitely pays to join a frequent flyer program with at least one major airline and reap the benefits (upgrades, lounge access, free flights) but in my experience this isn’t the case for many of us who only fly a few times a year.